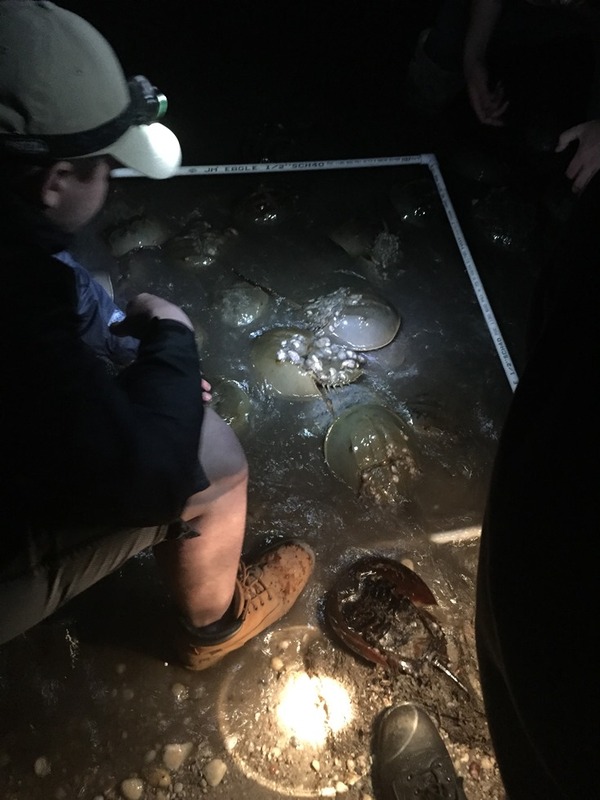 Citizen scientists and state researchers have surveyed the horseshoe crabs spawning along Delaware Bay beaches since 1990. The data they have collected has been key for scientists in monitoring changes in numbers of spawning crabs in the Bay. Each spring, during the new and full moon evening high tides, volunteers donate their time to count crabs on key beaches in Delaware and in New Jersey. Delaware’s well-trained and enthusiastic volunteers have made this program one of the most successful volunteer-based wildlife surveys in the country. Find a full list of Horseshoe Crab spawning survey sites. The Delaware National Estuarine Research Reserve (DNERR) coordinates the survey on three Delaware Bay beaches each spring (Kitts Hummock, Ted Harvey Wildlife Area, North Bowers Beach). This is a wonderful way to see this natural spectacle on the Delaware Bay and we invite anyone who is interested in this fascinating creature to participate! 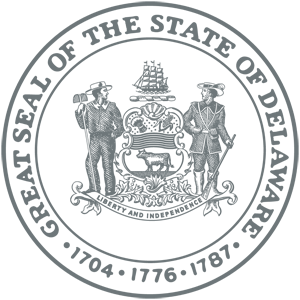 Volunteers are required to be trained in survey protocols before being able to participate in a survey. All volunteers must be 13 years of age or older to participate in the horseshoe crab spawning survey. Any young people between the ages of 13 and 18 must be accompanied by an adult and have a signed parental consent form. All new volunteers are required to attend a training session their first season, and then once every three years after the first training. Explore Horseshoe Crab Spawning Survey Data back to 1999. DNERR holds three volunteer training sessions each year in the early spring. All training sessions are two hours long and are held at the St. Jones Reserve, near Dover. Pre-registration is required. During the training, volunteers learn how to conduct the survey, how to properly record data and how to distinguish between male and female horseshoe crabs. The training also highlights the results of horseshoe crab survey data from previous years and how it is being used. Participants who are interested in other Delaware Bay beaches not coordinated by the DNERR are welcome to attend the training and will be referred to the appropriate beach leader for further information. Volunteers will be asked to select their preferred survey dates through an online registration system so that we can fairly distribute survey night and beach assignments. The online registration link will be made available after the trainings have ended to past volunteers that would like to participate again and to new volunteers that have attended a training. After you provide your preferred survey dates we will contact you to let you know which ones we will need your help with. Already a trained horseshoe crab volunteer? Refresh your memory with this instruction sheet about what is expected of you when you arrive on your assigned survey nights.